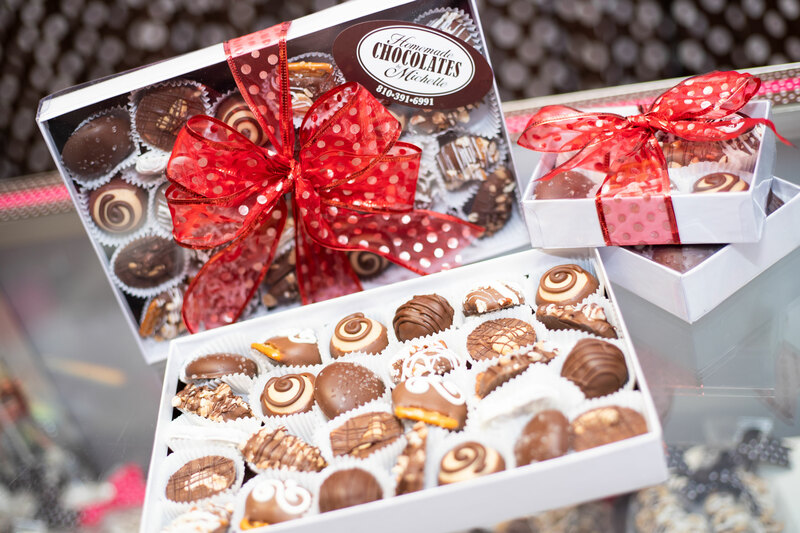 It just wouldn’t be Valentine’s Day without a box of luscious, decadent handmade chocolates in a heart-shaped box for your special someone. 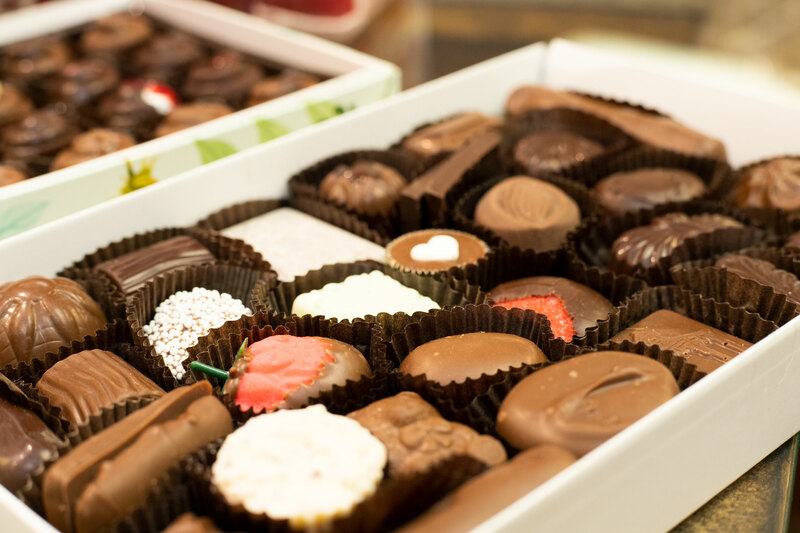 And, you can find some of the best chocolate you will ever taste right here in Greater Flint. Here are a few of MCM’s favorite candy stores. 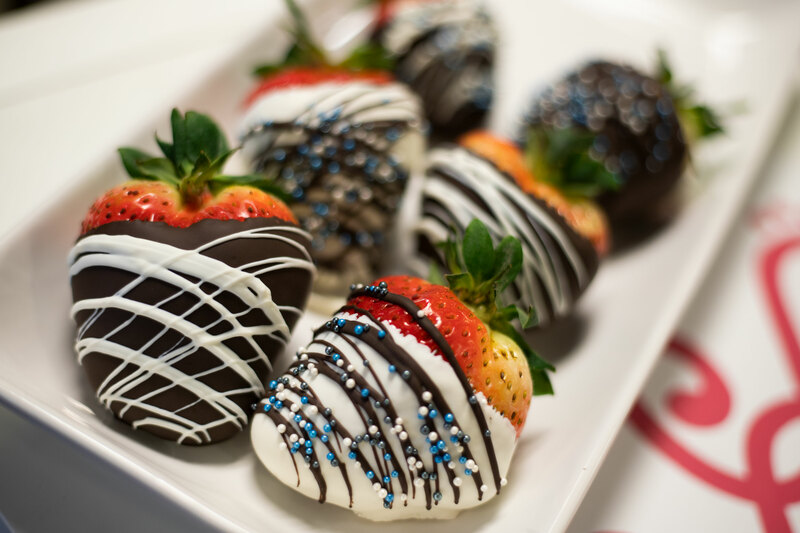 One of the Valentine’s Day specialties at Homemade Chocolates by Michelle is the gourmet, long-stemmed, chocolate-covered strawberries. They are available in-store and online from February 13-16 and must be pre-ordered to guarantee freshness. 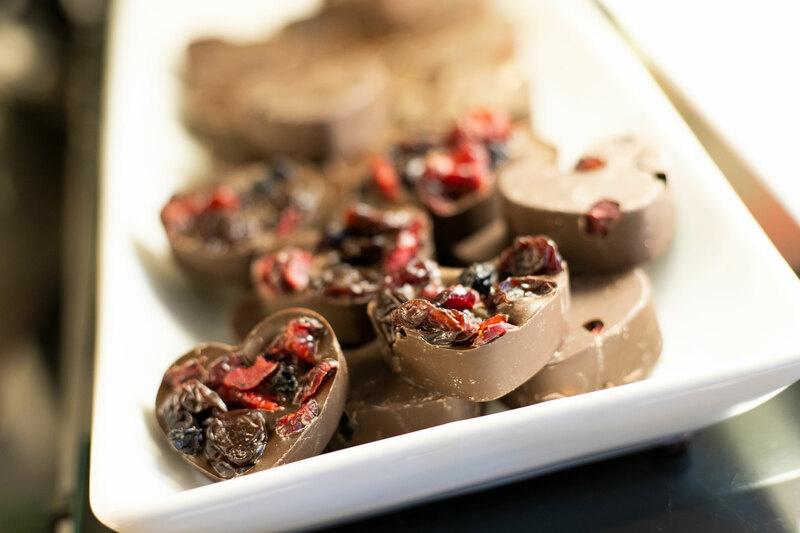 The shop also offers handmade truffles – sea salt caramel, dark chocolate raspberry, dark chocolate orange, Swiss almond, and white chocolate chai tea truffles. 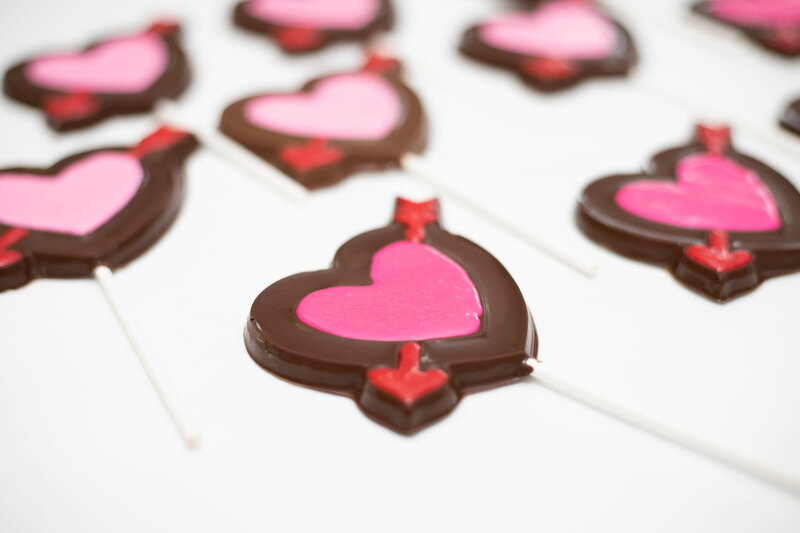 “People love them,” says the chocolatier. They also make chocolate roses, perfect for Valentine’s Day. 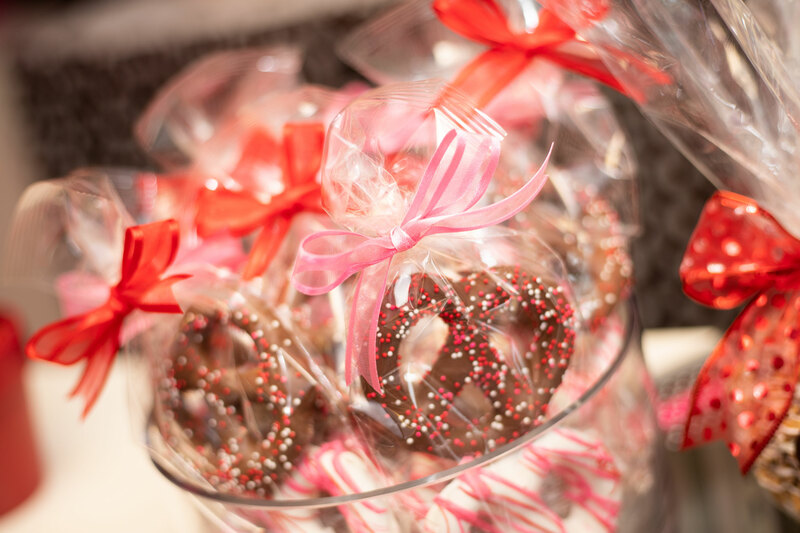 Michelle’s also offers a variety of novelty sweets including: heart-shaped Rice Krispie treats, chocolate-dipped pretzels, chocolate-covered Oreo cookies, and graham crackers dipped in dark chocolate and covered with a peppermint candy crunch. “They are yummy,” says Daniels. 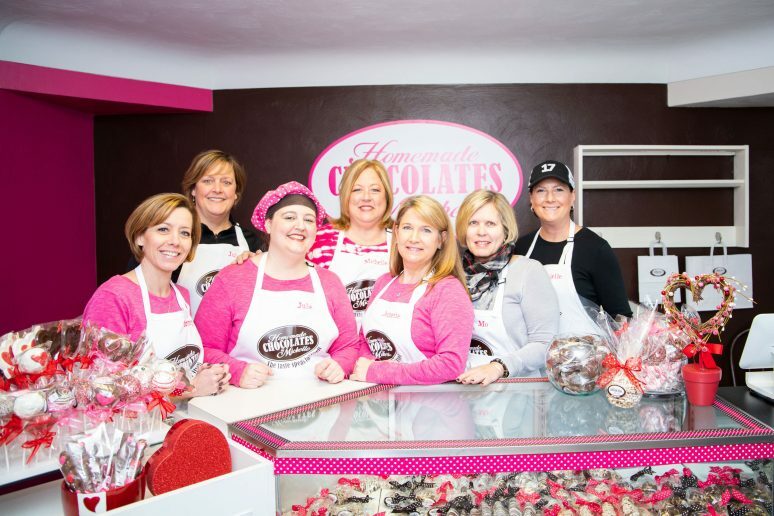 Homemade Chocolates by Michelle is a four-fold operation – corporate, retail store, wholesale and specialty events such as weddings and birthdays. The business motto: The taste speaks for itself. 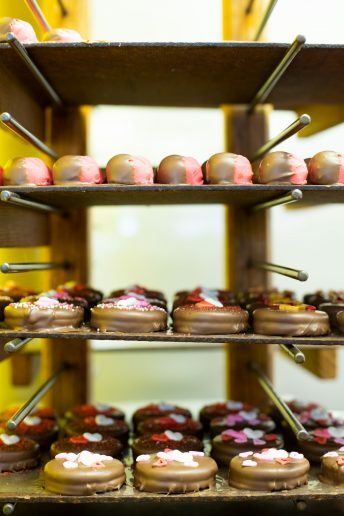 In Oliver T’s chocolate candy case, you will find a beautiful assortment of domestic chocolates – over-sized truffles from the Sweet Shop, egg-shaped truffles made by DeBard Chocolatier, giant peanut butter cups and giant non-pareils from Buddy Squirrel. Oliver T’s also offers a selection of Long Grove Confectionery Co. boxed chocolates, such as peanut butter melts and pecan myrtles. For kids, there is also a variety of fun novelty chocolates. 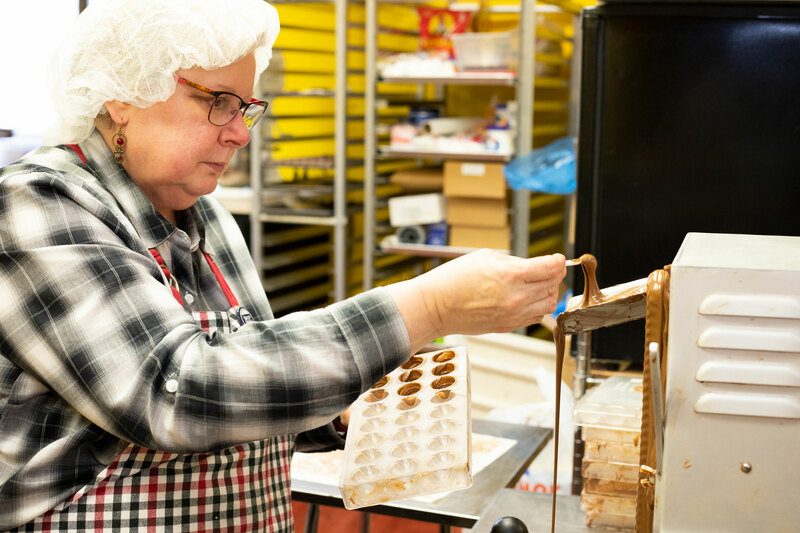 The star of Oliver T’s boxed chocolates is Detroit’s own Sanders Confections. 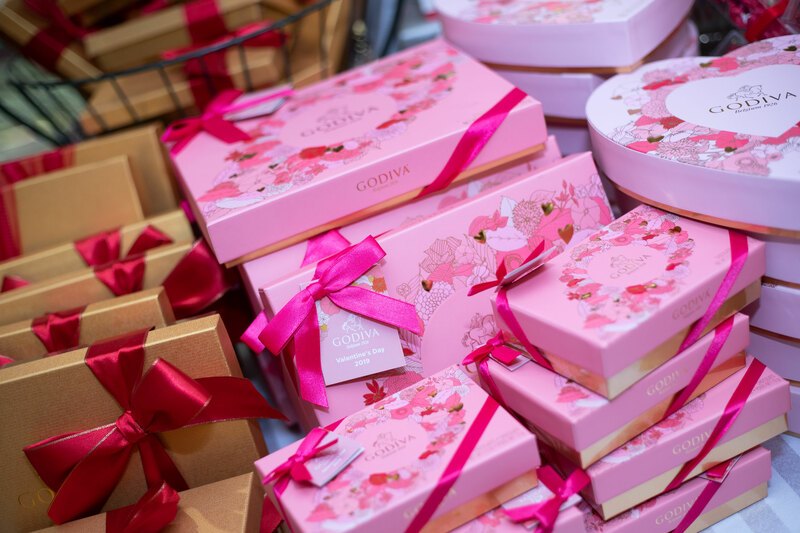 “We sell a lot of Sanders,” Zeller says, “and lots of Godiva chocolates.” Godiva offers six-, 14- and 20-piece heart-shaped boxes of assorted chocolate candy. 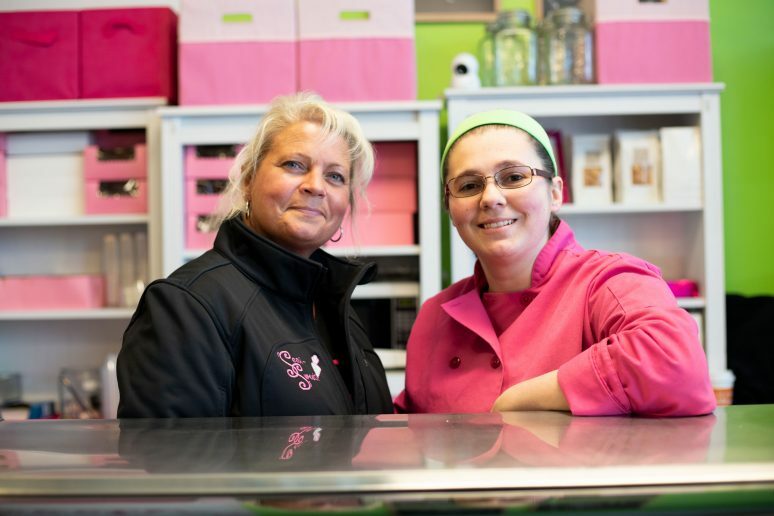 “A lot of people love Godiva cherry cordials for Valentine’s Day,” says the store owner. 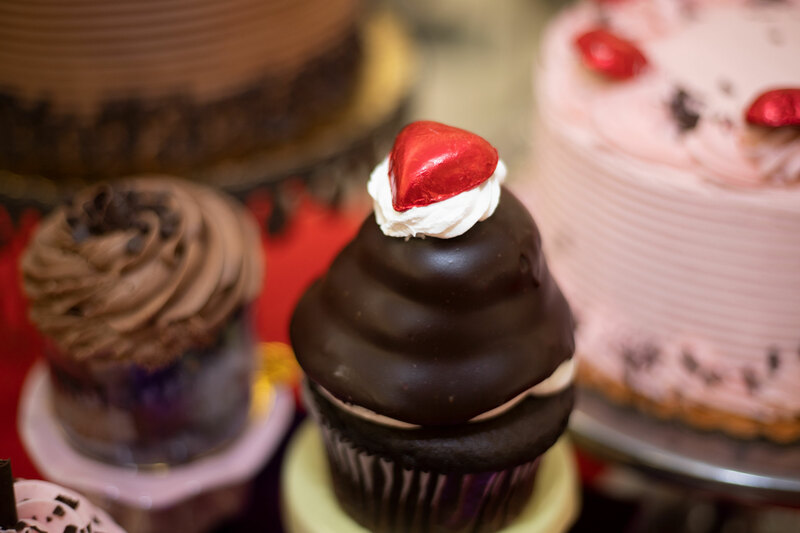 Yes, Valentine’s Day is a big day at Oliver T’s. “We are busy until we close for the day and we always sell out, but you can always pre-order,” Zeller says. 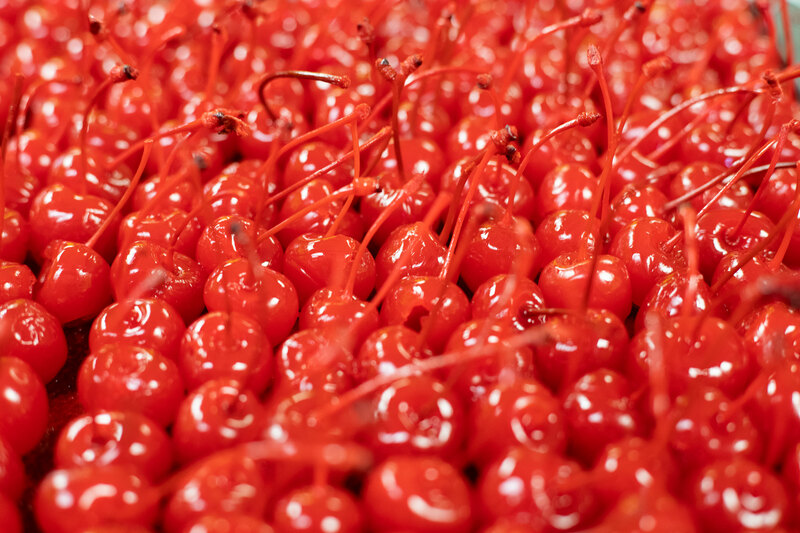 Using fresh, high-quality ingredients, Semi-Sweets makes a wide variety of tantalizing bakery and pastry items. 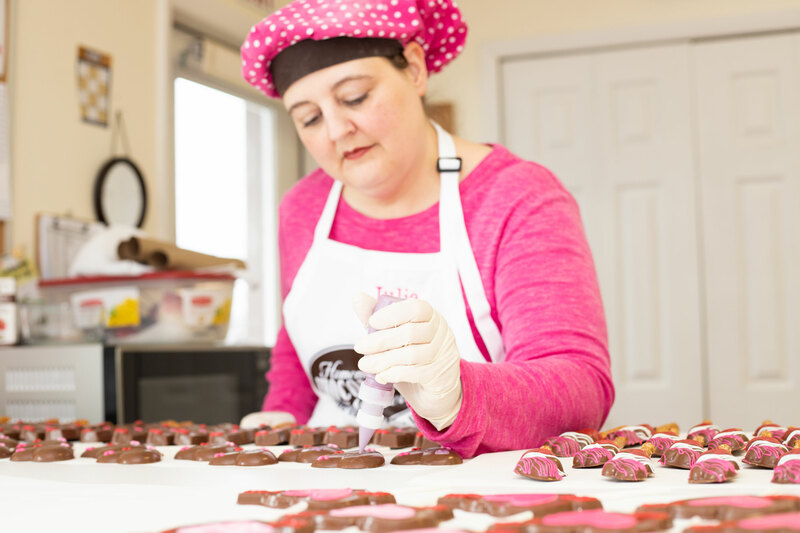 According to Owner Rachel Hougen, the shop has recently expanded into the chocolate world and they are busy making some specialty items just in time for Valentine’s Day. 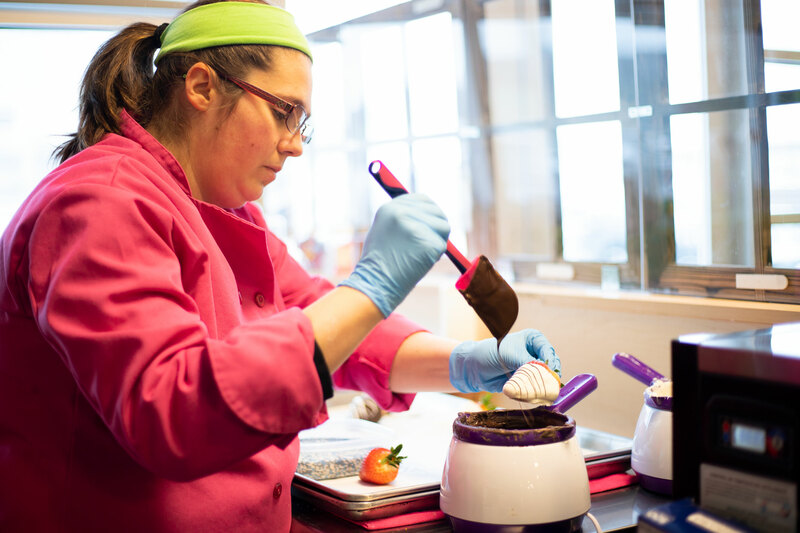 In the Farmers’ Market kitchen, Hougen has been making chocolate-dipped strawberries and a variety of assorted chocolates: turtles, bear claws, nut clusters, cremes, caramels, chocolate-dipped pretzels and more. Hougen’s amazing specialty cheese cakes (12 flavors) will also be available for Valentine’s Day, as well as another one of her specialties, French macaroons. 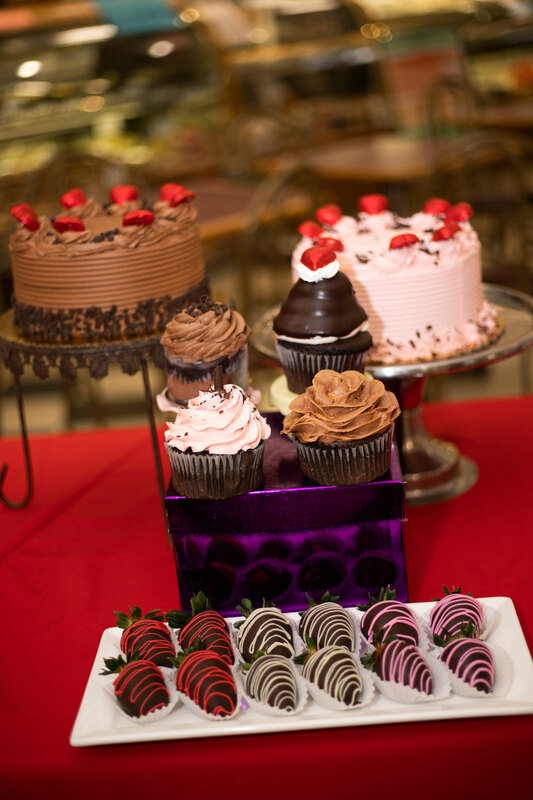 The shop has a wonderful variety of pastry treats including delicious cakes, signature cookies, fresh fruit tarts, scones, creme brûlée and dessert parfaits. 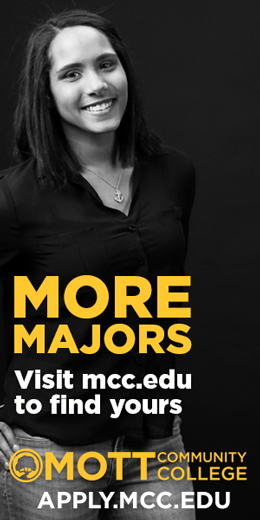 Hougen earned a culinary arts degree from Mott Community College. 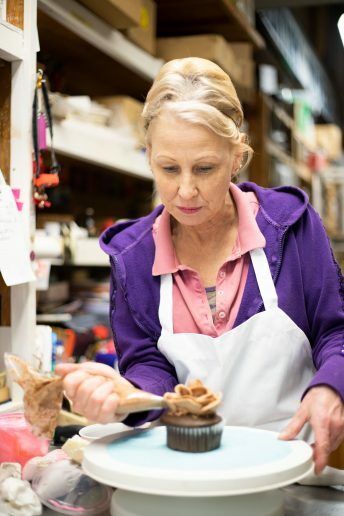 “I have a passion for making chocolates,” she says, adding that she is excited to have an opportunity to offer chocolate at her shop. 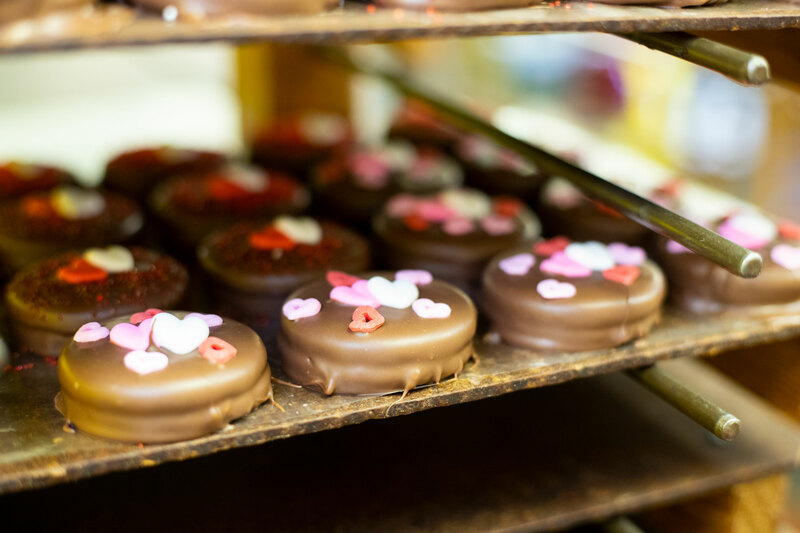 The process of making the sweet treats starts with the use of high-quality chocolate that is melted and poured into molds. When making sea salt caramel truffles, the soft caramel filling is added and more chocolate is put on top. 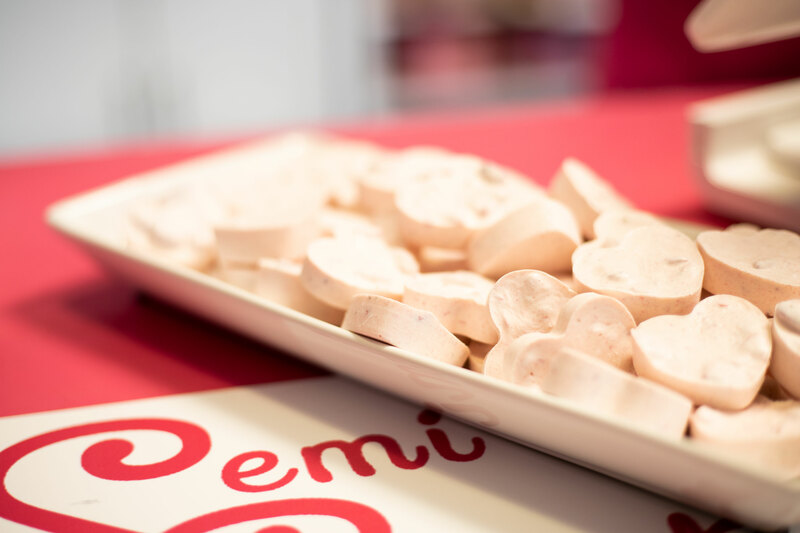 Once dry, the candies are drizzled with more chocolate and sprinkled with sea salt. Semi-Sweets will soon expand to a storefront in Flushing. The building is currently under construction and will open in the spring. “It is very exciting!” Hougen exclaims. She will move the candy-making process there and will also offer candy-making classes. 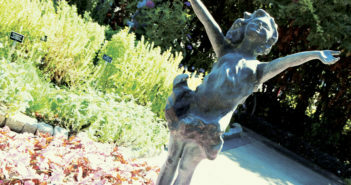 “We can really flourish there,” she adds. Looking for a special Valentine’s Day treat for your sweetheart? 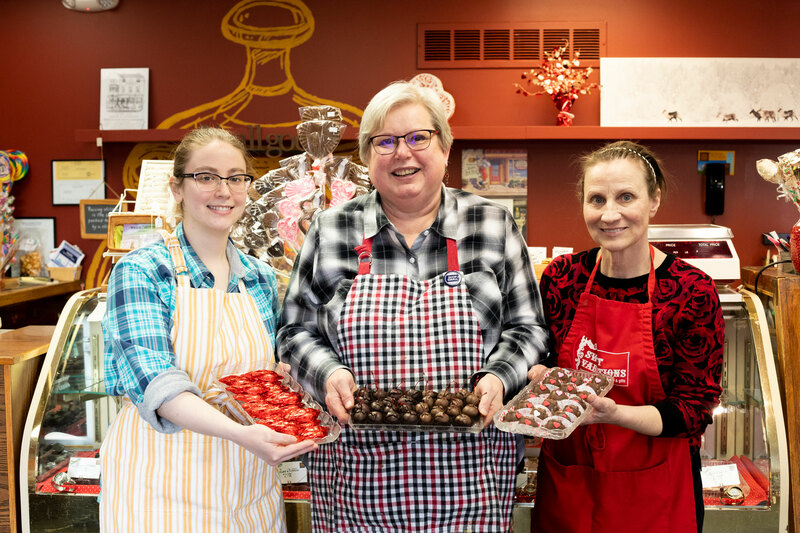 A four-time winner of the MCM City’s Choice Award for Favorite Candy Shop, Sweet Variations in Fenton is an old-fashioned store chock full of handmade chocolates and candies. Owner Carol Schuler has been making chocolates for 37 years and Valentine’s Day is one of the top three busiest times of the year. 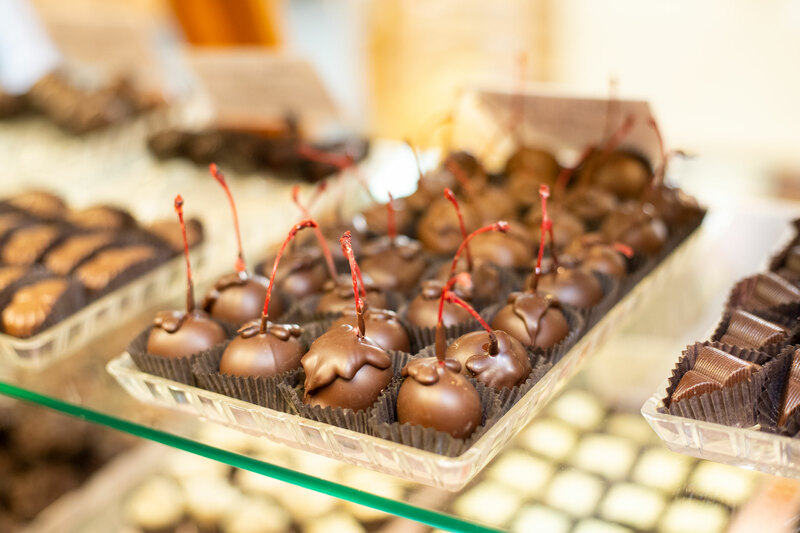 Visitors to Sweet Variations are met by the mouthwatering aroma of chocolate, and some can catch a glimpse of a chocolatier making candies, perhaps a Red Velvet Truffle or their famous Tiger’s Paw – a delightful pecan, caramel and chocolate creation and a customer favorite. The Lorenzo, which is named after a former Sweet Variations employee, is decadent butternut nougat surrounded by a rich layer of raspberry sauce and covered in chocolate. 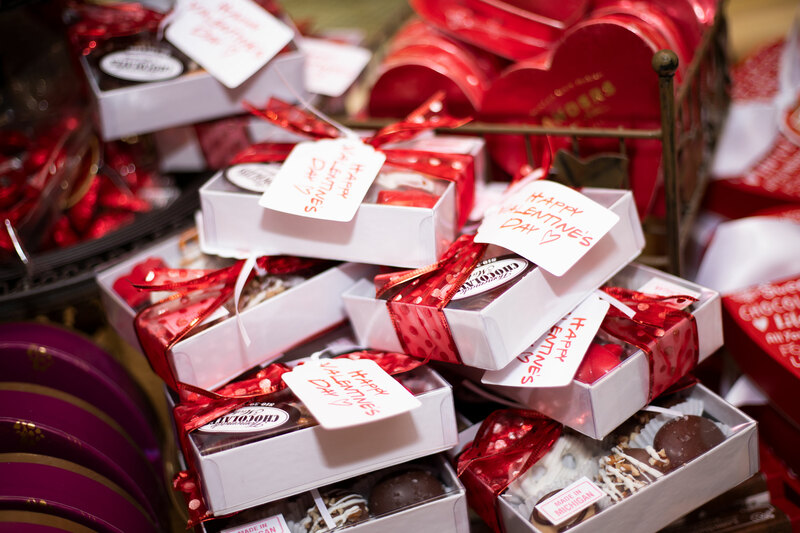 For Valentine’s Day, Sweet Variations will offer a variety of handmade chocolates packaged in heart-shaped boxes. Customers can choose their own and are encouraged to call in advance to place an order, says Schuler. Two years ago, Sweet Variations moved to a new location in a shopping mall on Fenton’s north end. “We have more room and easier parking,” Schuler says. The most important thing, however, is they offer the same sweet, delicious, decadent chocolate. The history of chocolate can be traced to the ancient Mayans, and even earlier to the ancient Olmecs of southern Mexico. The word “chocolate” may evoke images of sweet candy bars and luscious truffles, but the chocolate of today is little like the chocolate of the past. Throughout much of history, chocolate was a revered but bitter beverage, not a sweet, edible treat. Chocolate is made from the fruit of cacao trees, which are native to Central and South America. The fruits are called pods and each pod contains around 40 cacao beans. The beans are dried and roasted. It’s thought that the first American chocolate house opened in Boston in 1682. By 1773, cocoa beans were a major American colony import and chocolate was enjoyed by people of all classes. During the Revolutionary War, chocolate was provided to the military as rations and sometimes given to soldiers as payment instead of money. For much of the 19th century, chocolate was enjoyed as a beverage; milk was often added instead of water. Swiss chocolatier, Daniel Peter, is generally credited for adding dried milk powder to chocolate to create milk chocolate in 1876. But it wasn’t until several years later that he worked with his friend, Henri Nestlé, when they created the Nestlé Company and brought milk chocolate to the mass market. Chocolate had come a long way during the 19th century, but was still hard and difficult to chew. In 1879, another Swiss chocolatier, Rudolf Lindt, invented the conche machine which mixed and aerated chocolate giving it a smooth, melt-in-your-mouth consistency that blended well with other ingredients. By the late 19th and early 20th centuries, family chocolate companies such as Cadbury, Mars, Nestlé and Hershey were mass-producing a variety of chocolate confections to meet the growing demand for the sweet treat. 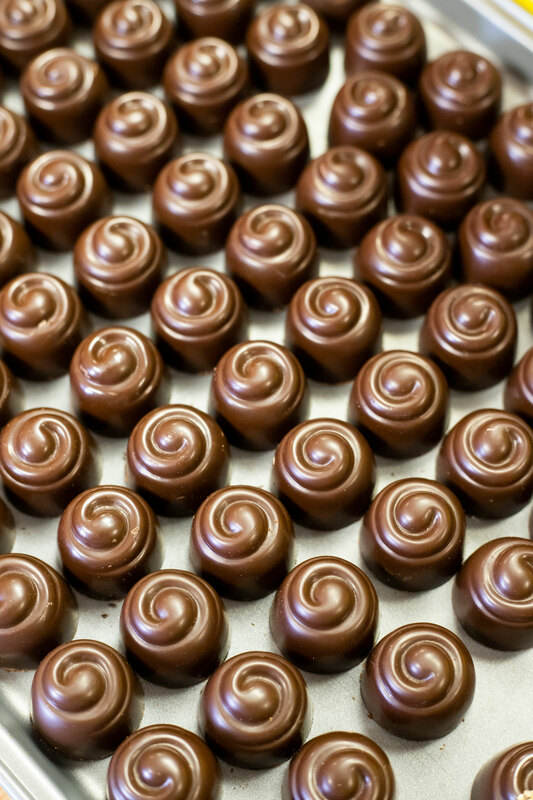 Most modern chocolate is highly-refined and mass-produced, although some chocolatiers still make their chocolate creations by hand and keep the ingredients as pure as possible. In 1822, John Cadbury opened a tea and coffee shop in Birmingham, England. 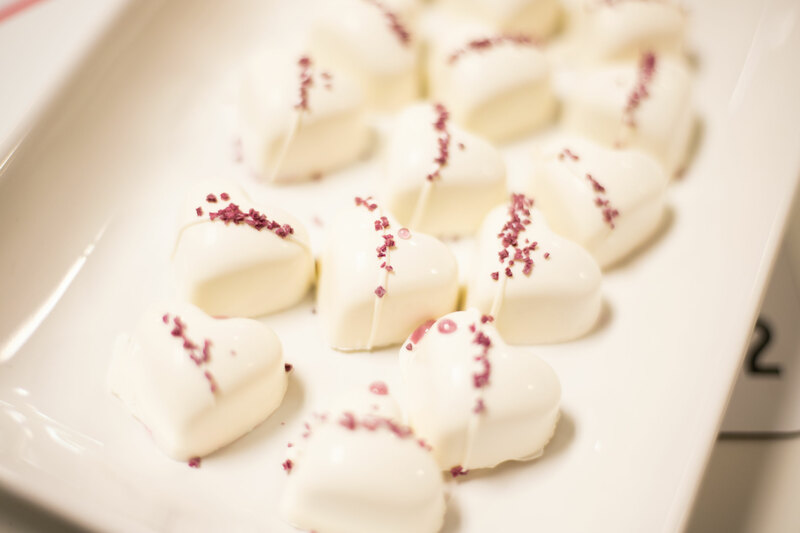 He soon expanded into chocolate manufacturing, and in 1861 his son, Richard, greatly increased sales by packaging Cadbury chocolates in the world’s first heart-shaped candy box for Valentine’s Day. He didn’t actually patent the heart-shaped box, but it’s widely believed that he was the first to produce one. Hershey’s Kisses got their name because of the sound the machines made while creating the chocolates. 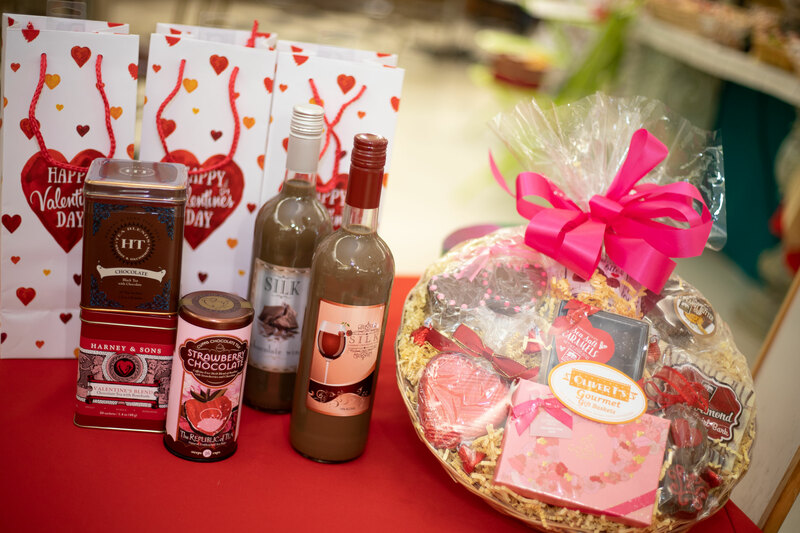 According to a survey conducted by the National Confectioners Association, caramel-flavored chocolates are the most popular in a Valentine’s Day chocolate box. Chocolate-covered nuts were a close second. During the week of Valentine’s Day, 58 million pounds of chocolate and 36 million heart-shaped boxes of chocolate will be purchased.